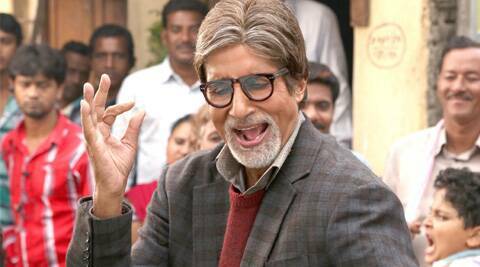 Bollywood megastar Amitabh Bachchan’s ‘Bhoothnath Returns’ has passed the weekend test with flying colours having collected more than Rs 25 crore in four days of its release. Big B’s ‘Bhoothnath Returns’ kept pace with the young gungs of Bollywood – Varun Dhawan and Sunny Leone – whose film’s ‘Main Tera Hero’ and ‘Ragini MMS 2’ also collected in same tunes over the first week. Bhoothnath Returns is the sequel of 2008 comedy film ‘Bhoothnath’ which follows the story of a ghost (Amiatbh Bahchcan) standing up for Lok Sabha elections against a local MLA (Boman Irani). The film also stars Parth Bhalerao and Usha Jhadav in lead roles.